Installation & Commissioning: Use the ProfiCaptain feature to test slave devices and look for cabling problems (grounding, shielding, termination) before the PLC/DCS/Master programming is complete. ProfiCaptain can also be used to test various PROFIBUS bus speeds prior to start-up, to identify problems if speeds are changed in the future. Troubleshooting and Maintenance: Use the Overview, busmonitor, Scopeware and BarGraph features to find configuration, cabling, protocol and device related issues. Use the reporting feature to create Preventative Maintenance baselines so that minor issues are identified before they become a major problem. Development: Use the message recording feature to aid in the design and development of PROFIBUS devices, to identify protocol issues, and to insure proper communications. The ProfiTrace 2 software package consists of base features and optional features, organized into “tabs” in the software. The hardware consists of the ProfiCore Ultra PROFIBUS interface module, and the optional tap cables (both DB9 and M12) to connect to PROFIBUS DP segments, and an optional “PA Probe” to connect to PROFIBUS PA segments. The advanced ProfiCore Ultra is internally equipped with a high speed digital oscilloscope and is able to capture bus signals running up to the maximum PROFIBUS speed of 12 Mbps. It connects to the PC / laptop running the ProfiTrace 2 software via a USB cable. The software is available for free download and can be freely installed on any Windows PC, but the features within ProfiTrace 2 are activated through the use of a “license file”. The license file is tied to the serial number of the ProfiCore Ultra, so in this way only the person in possession of the ProfiCore will actually be able to utilize the software features. The ProfiTrace busmonitor tab and Overview tab are the base features included with all purchases. The Scopeware and Bar graph tabs are available with the Scopeware option. In addition, the Network Manager tab is useful with the Scopeware feature since its primary purpose is measuring multi-segment PROFIBUS networks to create a seamless network report. The Topology tab draws a network topology diagram of the PROFIBUS Network for 500kbps and 1.5Mbps networks, and is available with the Topology Scan option. In addition the Network Manager tab can be used to create the topology for the entire network when measuring multi-segment networks. Lastly the ProfiCaptain tab provides the PROFIBUS Class 2 Master tool. This can be used for installation and commissioning networks, as well as for bench testing devices and advanced troubleshooting. It is available with the ProfiCaptain 2 option. There are 2 money saving “kits” available with bundles of features at a discounted price. The Ultra Plus kit combines the ProfiTrace base package (ProfiTrace, ProfiCore Ultra, USB Cable, Carrying Case) with Scopeware and Topology Scan options, and adds the DB9 Tap Cable. This kit is the starting point for most ProfiTrace users. The Ultra Pro kit is also available and it includes all of the features in the Plus kit, and adds ProfiCaptain 2, the PA Probe cable, and adds in the OPC Server optional software.The OPC Server software makes it possible to gather PROFIBUS device information and present it to OPC Client software. This feature enables the live status of the PROFIBUS network to be reported directly to a SCADA system (or other OPC Client), allowing maintenance engineers and operators to react quickly to any PROFIBUS related alarms or irregular events coming up on the HMI screen. This data can also be used for IIoT (Industrial Internet of Things) applications. 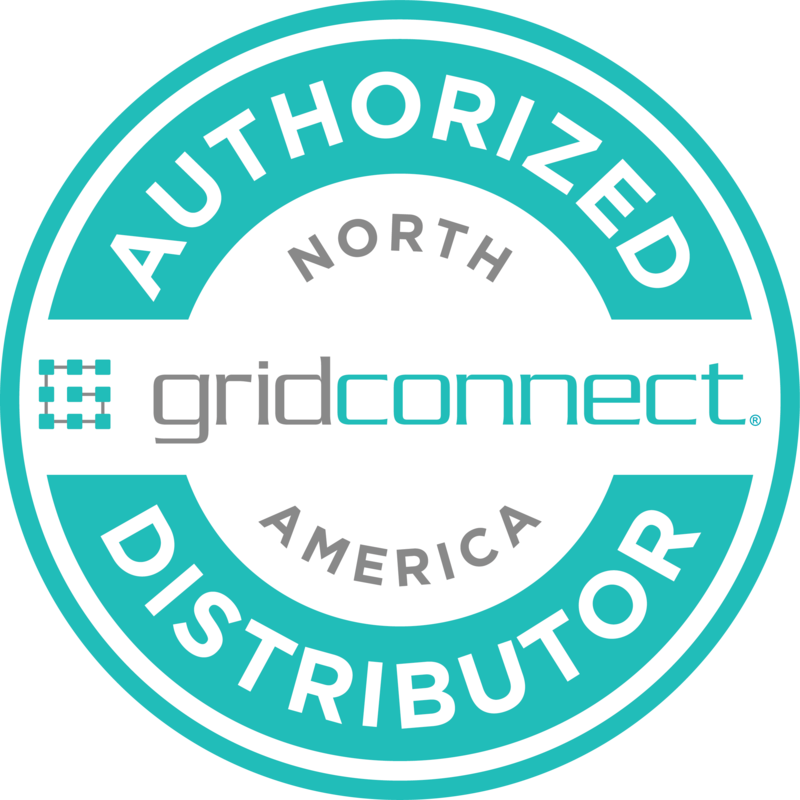 Grid Connect offers onsite training and onsite troubleshooting to customers across the USA using ProfiTrace 2 with the ProfiCore Ultra and other great PROCENTEC products. As a PROCENTEC Gold Distributor, we have the product expertise and PROFIBUS knowledge to help customers with all aspects of PROFIBUS fieldbus networks. By itself (without the optional ScopeWare, TopologyScan and ProfiCaptain 2), ProfiTrace 2 software provides multiple "views" of your network, including the "Live List", the "Messages" view, the "Station Statistics View" and the "Data Inspection" view. This enhanced version of of the original ProfiTrace allows you to quickly find: Repeats, Fall-outs, Corrupted messages, Diagnostics, Cycle time, and more. The optional ScopeWare is the major breakthrough in the new ProfiTrace 2 family. The oscilloscope hardware is built into the new ProfiCore Ultra, and the ScopeWare software allows you view the integrated scope right on your PC screen. Differential measurement: -9 to +9 V.
Single ended: -4.5 to +8 V.
The optional TopologyScan is a key feature in the ProfiTrace 2 family, allowing you to diagram your network and give you an accurate picture of where to go in your network when trouble arises. TopologyScan must be purchased with ScopeWare. The optional OPC Server is the latest feature in the ProfiTrace 2 family. Using the OPC Server, you can display ProfiTrace tags in a SCADA/HMI package or link it to an SMS/email client and sent a message when something happens with the PROFIBUS installation or even generate your own report in MS Word/Excel. Every application that acts as OPC client can utilize the ProfiTrace tags. It does NOT corrupt the PROFIBUS cycle time because the information comes from busmonitoring (listening). The optional ProfiCaptain 2 software is now completely integrated within ProfiTrace 2. Finds faults like double addresses, wire-breaks, configuration faults, data overshots, damaged messages, retries and diagnostics are captured and logged. Analyzer with powerful statistics Enhanced version of ProfiTrace 1: Repeats, Fall-outs, Corrupted messages, Diagnostics, Cycle time, etc. High speed digital oscilloscope (with optional ScopeWare) provides Differential voltage, A-line, B-line, Noise, Overshoots, Reflections, Triggers. Bar graphs (with optional ScopeWare) Average, Min. and Max. values of the bus signals per device. Reporting Automatic generation of detailed reports that are accepted by the industry. Optional DP-V0/V1 master ProfiCaptain 2 has been completely integrated with even more features. ProfiCore Ultra USB interface Useable on PC platforms, no power supply required and elimination of spur lines. The optional PA Probe Ultra makes a measurement on PA segments possible (coming soon). PROFIBUS baud rates from 9.6 kbps to 12 Mbps. PA Probe - Makes a physical connection and measurement on a PROFIBUS PA segment possible. Tap Connector 2 - Simple cable allows for easy connection of ProfiCore Ultra to PROFIBUS network. Save even more with these great kits.